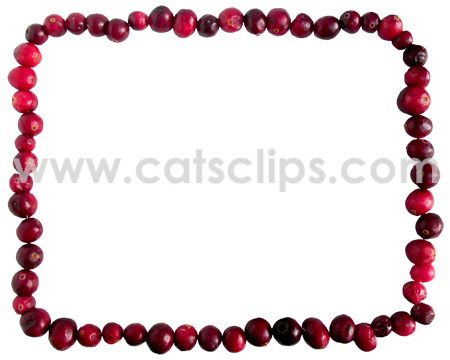 A string of red cranberries makes a festive border for a favorite Thanksgiving recipe, or can be used to frame a photograph for a special holiday card. PNG with a transparent center and white background. PNG with a transparent center and background.